Is It Dangerous to Quit Drinking Cold Turkey? Alcoholism is a debilitating condition in which the individual’s life is significantly impaired due to an inability to quit drinking. Alcohol abuse can lead to interpersonal, social and occupational problems, abandonment of enjoyable activities and exacerbation of mental or physical problems. If you or your loved one is suffering from an addiction to alcohol, many different treatment options are available. Inpatient or residential rehab: You can live at the facility while receiving treatment benefits such as mental health services, medication-assisted detox, individual therapy and group counseling. Outpatient rehab: You can live at home while receiving the necessary treatment to help you overcome your addiction. Group counseling: You discuss your experiences with alcohol in a group setting while developing necessary social and coping skills. Individual therapy: You work one-on-one with the therapist to develop coping skills such as positive self-talk, distraction and relaxation. 12-step programs: Alcoholics Anonymous is a 12-step fellowship program in which members attend local meetings and support one another throughout recovery. Dual diagnosis: Dual diagnosis refers to anyone who has a co-occurring mental disorder in addition to an addiction to alcohol. Some treatment centers specialize in dual diagnosis since it requires a more integrated approach to recovery. Once you’ve completed treatment, a quality rehab facility will design an aftercare program for you. Aftercare consists of ongoing treatment and maintenance. Aftercare programs could include continued use of many of the treatment options above, as well as post-treatment living accommodations such as a sober living home. Sober living settings allow you to maintain your sobriety while promoting a gradual re-introduction into the community following a period of focused addiction treatment. Alcohol withdrawal symptoms include insomnia, fever, sweating, chest pain and anxiety. If you have consumed excessive amounts of alcohol over an extended period of time, you are at high risk of experiencing alcohol withdrawal symptoms within a few hours to a few days after your last drink. A detox center or alcohol recovery program can provide medically supervised management of your withdrawal and help make the process more comfortable. 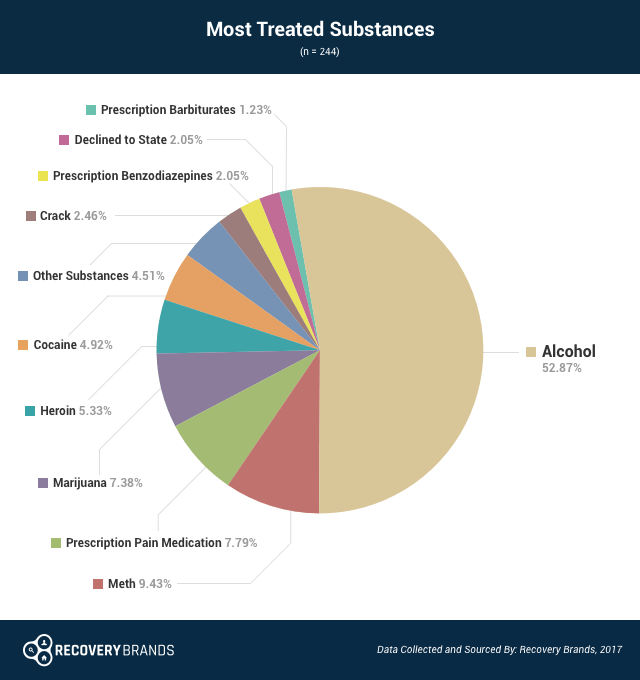 Alcohol, or ethanol, is one of the top substances among people in addiction treatment, according to a 2017 Recovery Brands survey. Nearly 70% of survey respondents struggled with alcohol abuse, and almost 53% of people cited alcohol as the substance that they received the most treatment for. Yes, it can be dangerous to quit drinking alcohol cold turkey. Some of the effects of alcohol withdrawal can be fatal. Delirium tremens is a severe form of alcohol withdrawal syndrome that affects people who drink heavily and for a long period of time. Sometimes referred to as “DTs,” this syndrome is a life-threatening condition that requires medical attention. Deep sleep lasting for 24 hours or more. Sensitivity to touch, sound and light. If you’re considering quitting alcohol, talk to your physician or call 1-888-319-2606 Who Answers? . Our recovery advisors can help you find the best alcohol addiction treatment center for your situation. Before you enter rehab, you or your loved one can do a few things to prepare for recovery. Build a support system. Sober friends and family can provide encouragement throughout your recovery. Get rid of all alcohol and mind-altering substances in your house. Remove anything that can serve as a trigger or temptation to drink or do drugs. Write down your short-term and long-term goals and keep them somewhere close to you. These can serve as a reminder to you throughout recovery. Eat a healthy diet. This can help prepare you as you make a plan to lead a healthier and happier lifestyle. At one time it was believed that confrontation was the best way to approach an alcoholic. But newer research suggests encouragement and care may be more effective. Confrontation may push your loved one further away from you and be counterproductive in getting him or her help. A beneficial alternative to confrontation is known as CRAFT, which stands for Community Reinforcement and Family Training.4 It teaches the family members skills to use to get a positive response from the addicted loved one. Often, loved ones will make excuses for the alcoholic in their life. CRAFT encourages the family members to stop doing this and to allow the alcoholic to face the negative consequences of his or her actions. In the long run, lying for the alcoholic in your life will do more harm than good. Communicate in a gentle and nonjudgmental way. 4 Your loved one will respond better to kindness and genuine concern than confrontation and anger. He or she will be more perceptive when you eventually discuss recovery options. Remind yourself of his or her positive qualities that shine through when sober. 4 This will help you keep things in perspective and maintain a calm attitude. Try to catch your loved one when he or she is trying to quit drinking. 4 This means that he or she has acknowledged his or her addiction and wants to quit. Don’t blame the individual for his or her alcohol addiction. This is counterproductive and will distance you from each other. 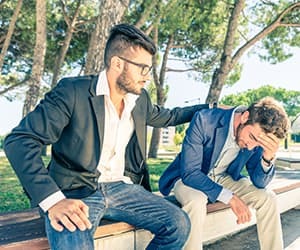 Avoid anger and negativity when discussing his or her alcoholism. This may cause your loved one to become defensive, and he or she will not be open to suggestions or treatment. Don’t demean or degrade your loved one. Chances are, he or she already feels a lot of shame from drinking. The last thing you want to do is compound that shame. Don’t have a heart-to-heart when your loved one is drunk. He or she may not remember the conversation and won’t be able to discuss recovery. It is in everyone’s best interest if you wait until he or she is sober. The medical and mental health community debates whether alcoholism is a disease and whether calling it a disease helps the treatment of it. While the concept has its challengers, many physicians support the disease model of addiction and refer to alcoholism and other forms of drug addiction as chronic conditions that can require a lifetime of treatment to manage. If you or a loved one would like to get help for an addiction to alcohol, call 1-888-319-2606 Who Answers? to talk to a treatment support specialist about finding the best recovery center for you.